Calypso Cruise is a Vietnamese junk boat sailing down beautiful Halong Bay. 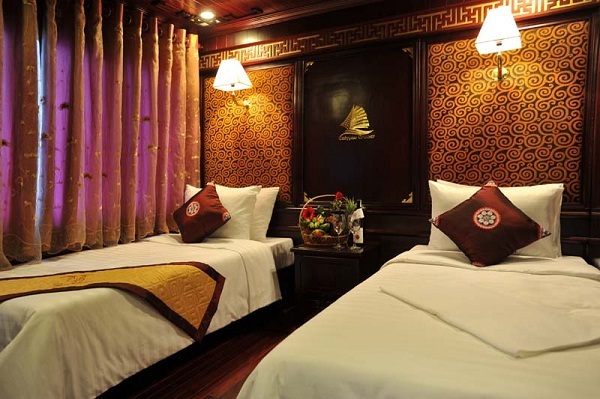 Decorated in an Oriental style, the air-conditioned guestrooms all come with carpeted flooring and views of the sea. The myth of Calypso has been inspirited into the Calypso Cruiser. “Glamour” and “Grandeur” are best to characterize Calypso. Swimming and kayaking in the crystal waters of Halong Bay are integral experience during your time with Calypso. Regular events like guest’s birthdays, honeymoon celebrations, Halloween, National days, Christmas, New Year and like such are well attended to ensure your fullest enjoyment and excitement during your valuable time onboard. Calypso Cruise Halong boards guests at Halong Quay, which is a 5-minute drive from Halong Market. 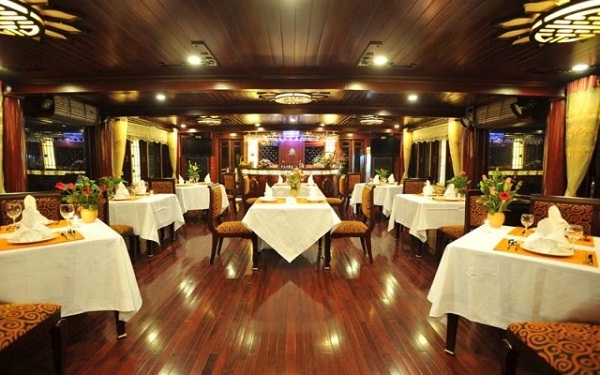 Halong Quay is a 3-hour, 30-minute drive from Hanoi. Noi Bai International Airport is 120 km away.